In this day in age (that term makes me sound old, no? ), it’s never too early to be standards compliant. 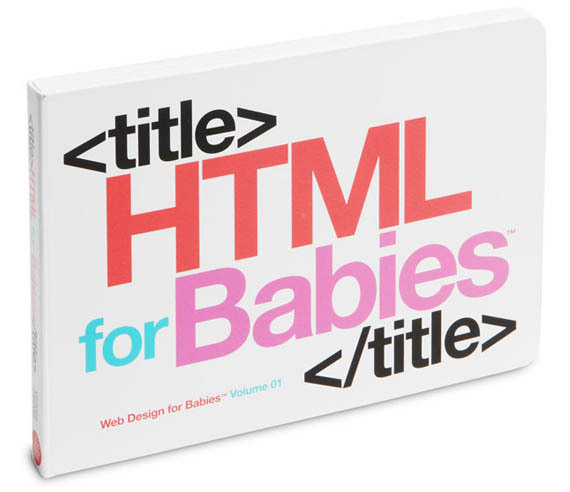 When the time comes for your geekling to make their first splash on the web, you want them to have been properly schooled in HTML Thanks to this board book, you can sit down and get them familiarized with the building blocks of the web. Written by a web designer for his child–how adorable– this book is cute and educational, which is a winning combination for those fast-growing baby brains.